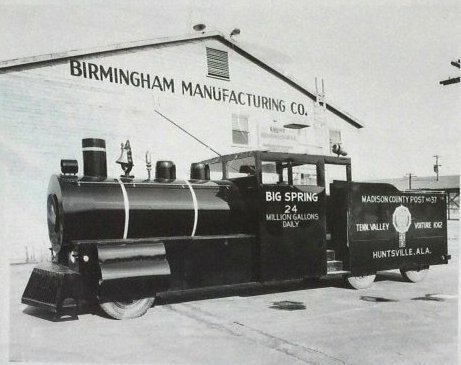 in 1948 and taken to Birmingham and converted to a "parade locomotive" in the summer of 1948. 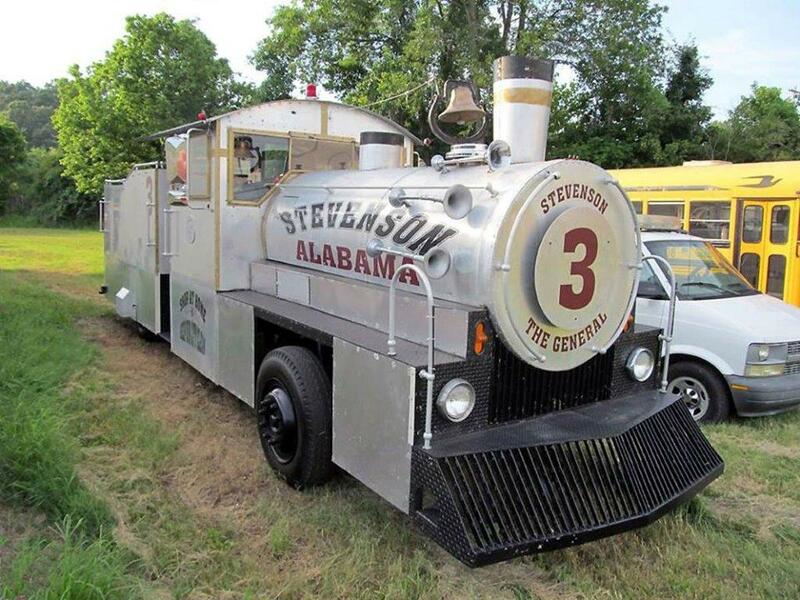 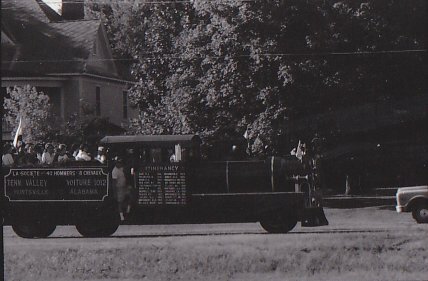 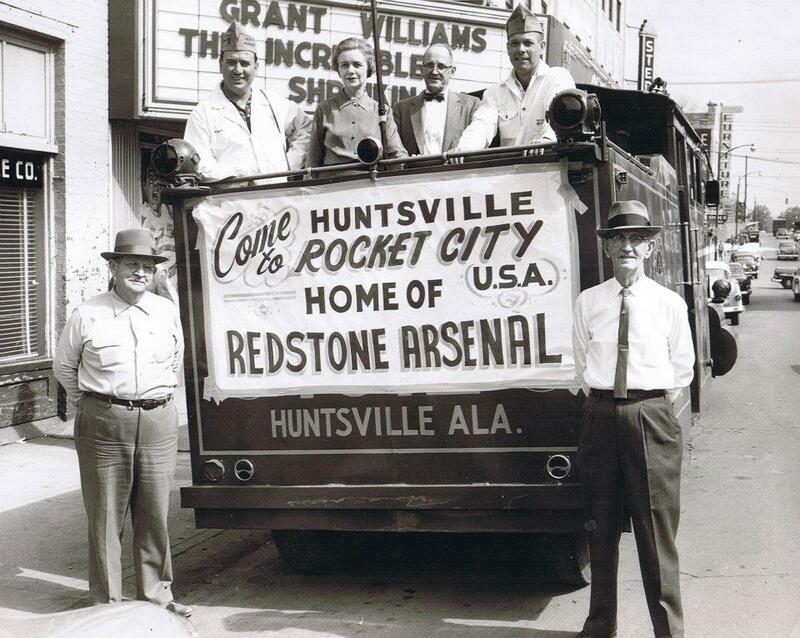 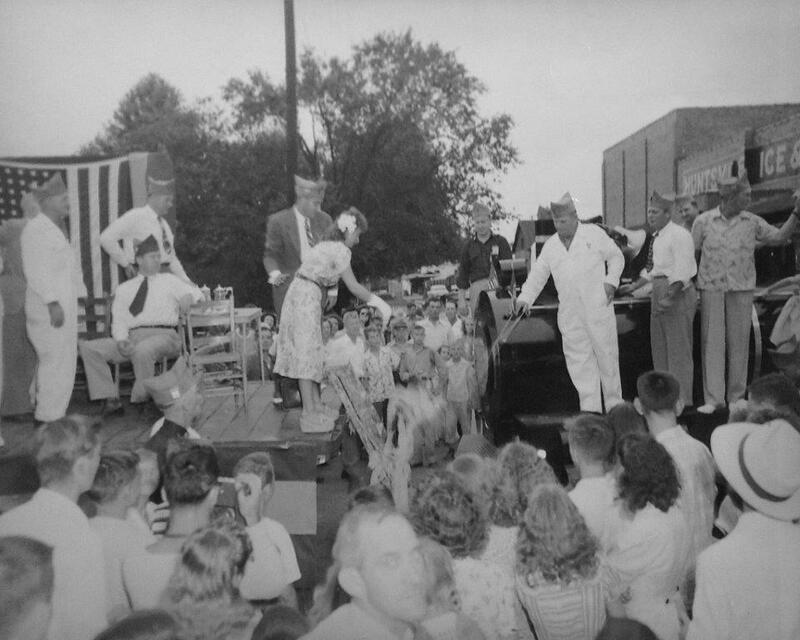 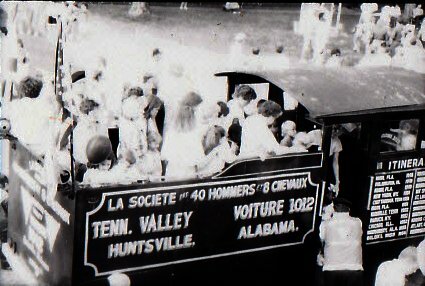 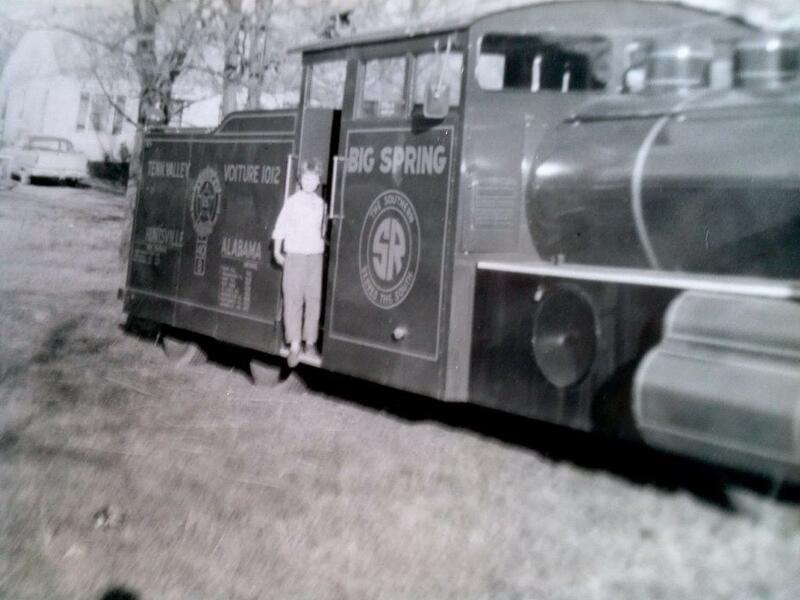 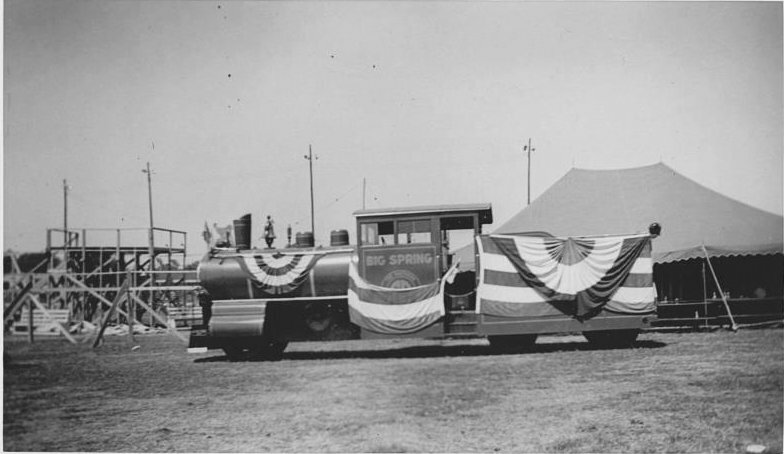 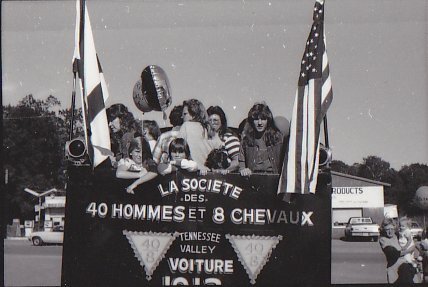 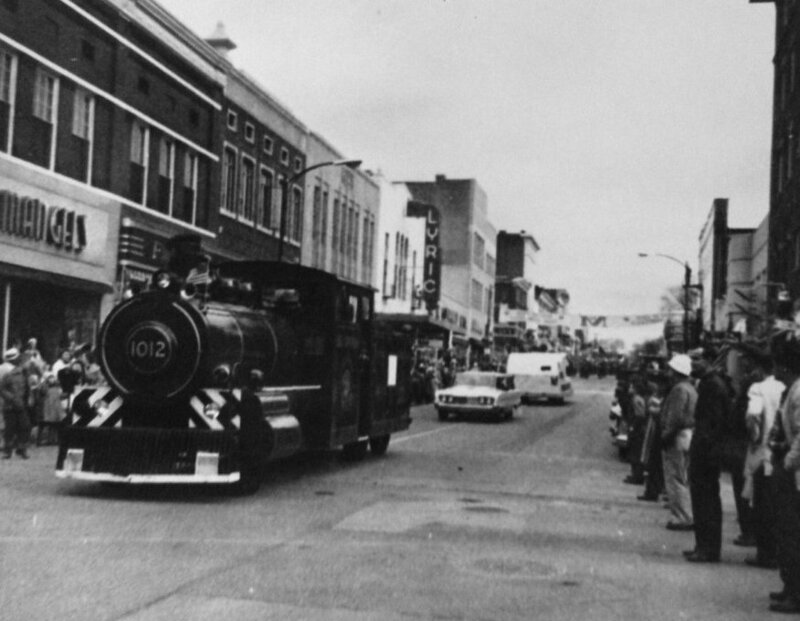 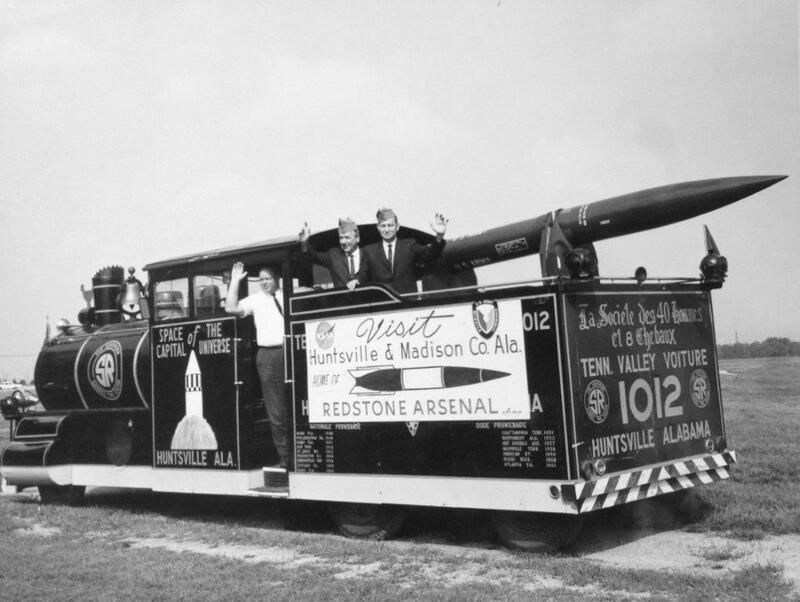 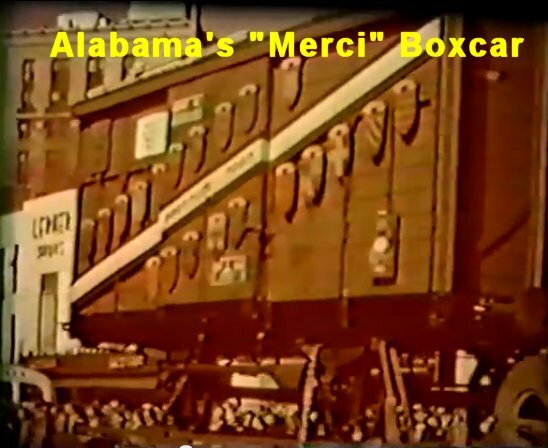 Over the next 40 years the train was used in parades and special events all over the Huntsville area. 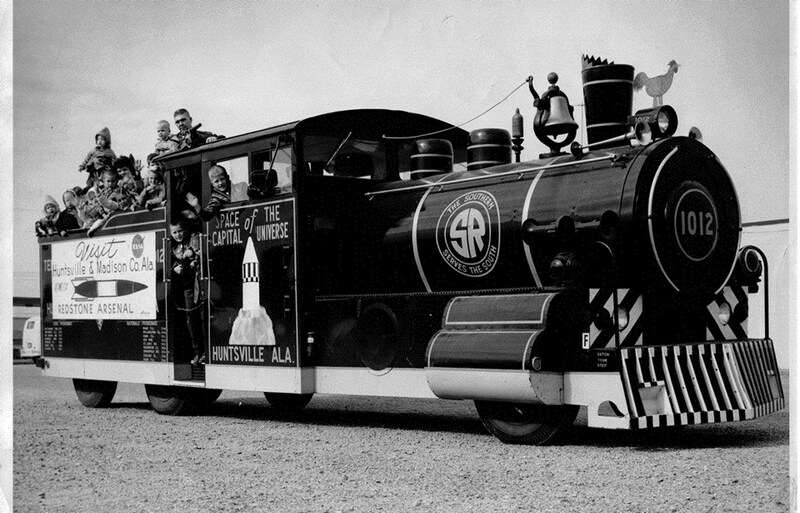 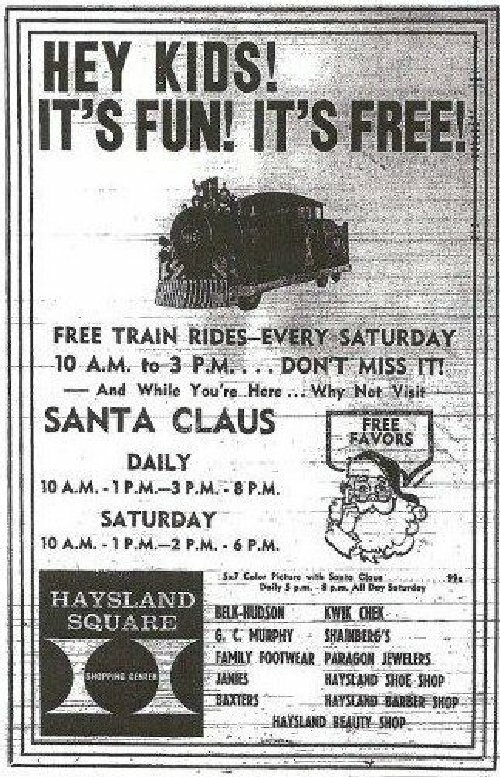 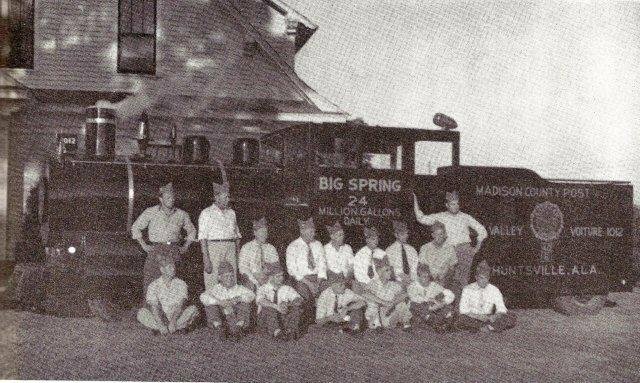 "The Train" was often seen at the Voiture buildings on Pulaski Pike (near today's Home Depot) and on Jordan Lane. 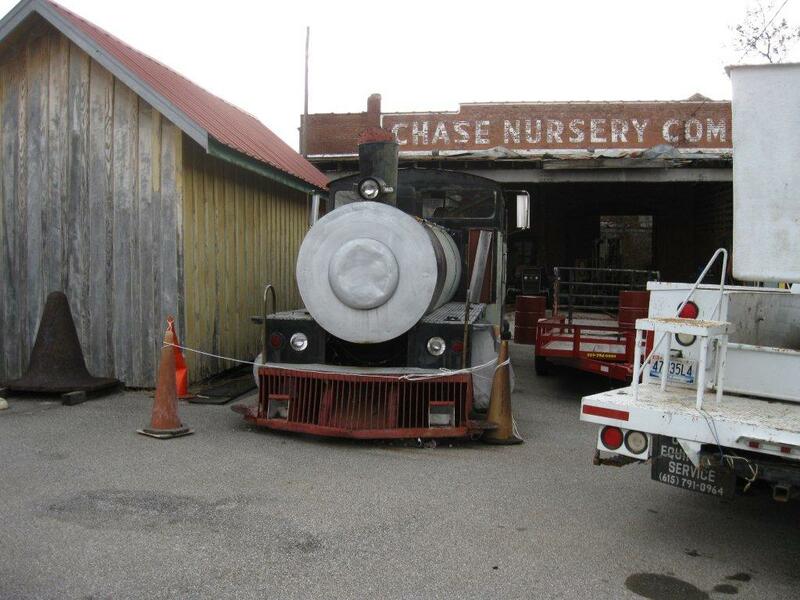 In June 2013 "The Train" moved away from the Chase AL museum for it's next chapter in the next few years. 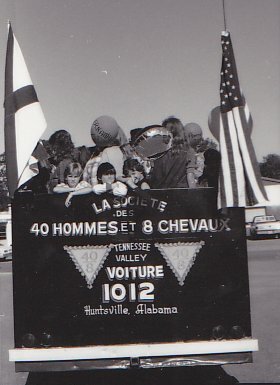 Square shopping center in South Huntsville. 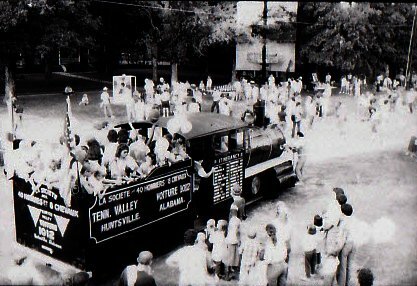 temporary home in 2000 behind the North Alabama Railroad Museum on Chase Road. 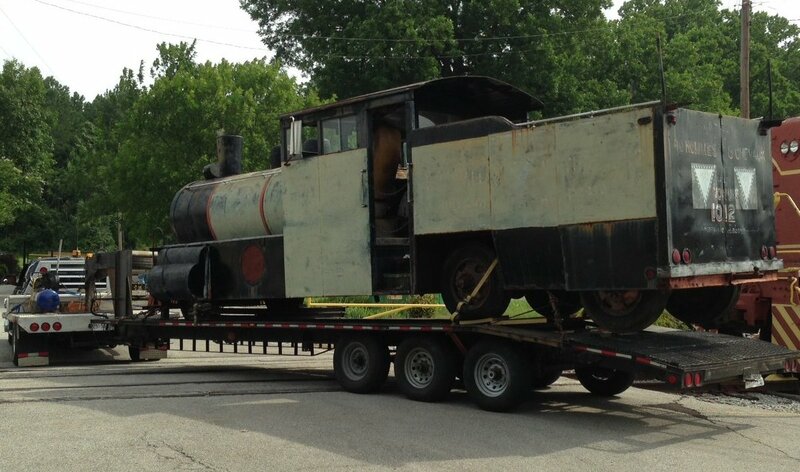 But even there, no one seemed to know what to do with the over-sized relic. 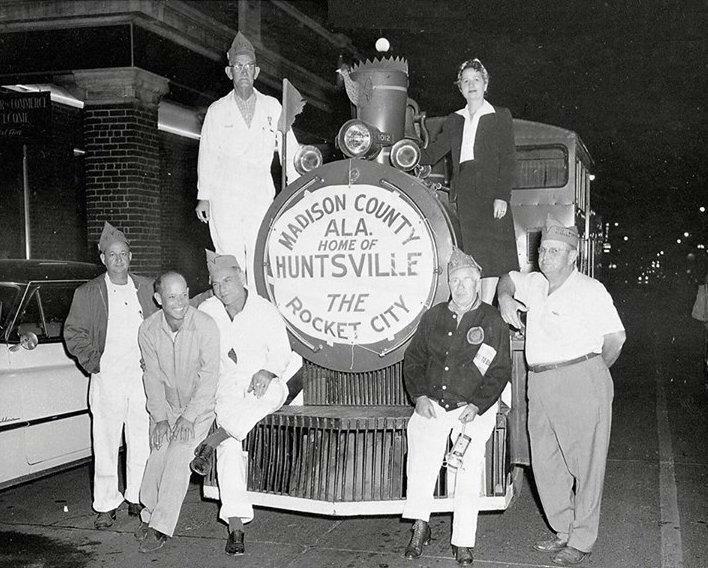 the train – they wanted to ensure this piece of Huntsville nostalgia didn’t end up in a scrap yard. 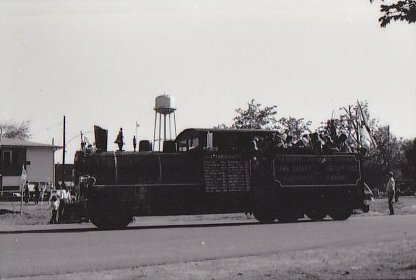 black paint now embellished with rust stains and an engine that no longer runs. 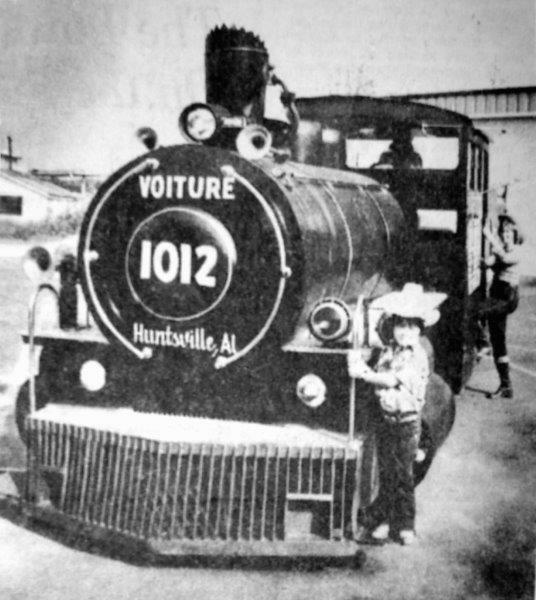 Vance recalled riding the train at a local shopping center parking lot when he was about 7 years old. 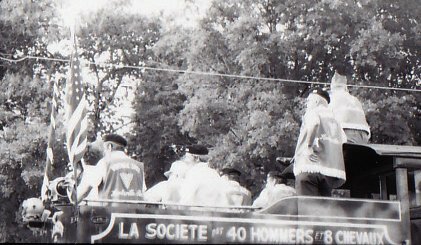 Des 40 Hommes Et 8 Chevaux, a service organization made up of veterans. 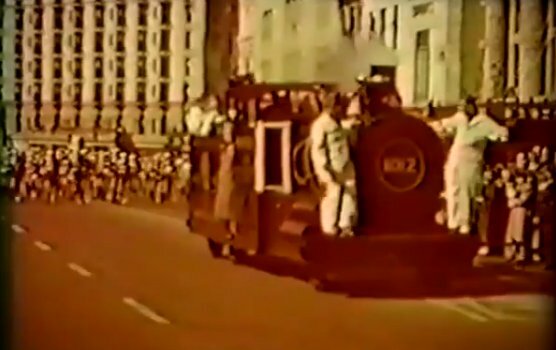 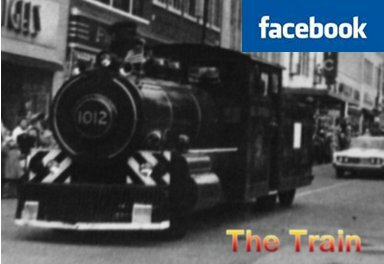 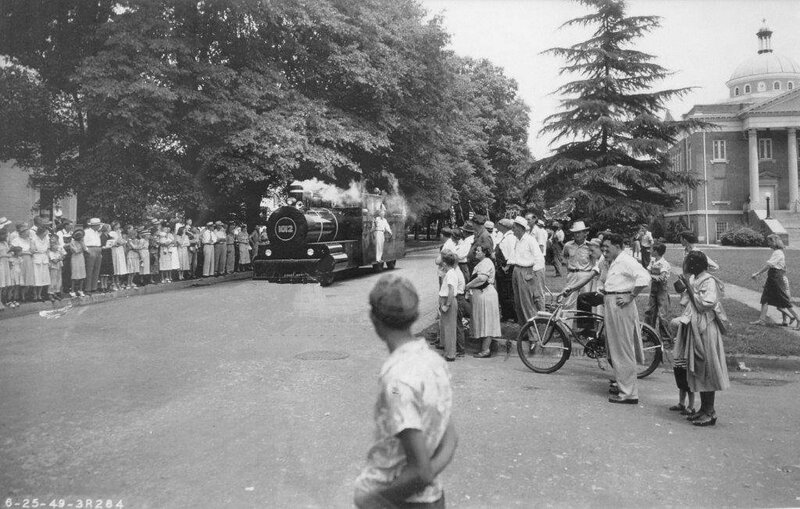 parade locomotive in Birmingham in the summer of 1948 so it likely debuted at that year’s Christmas parade. 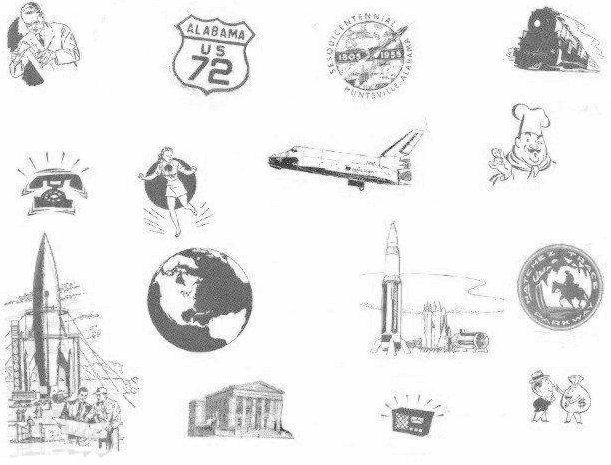 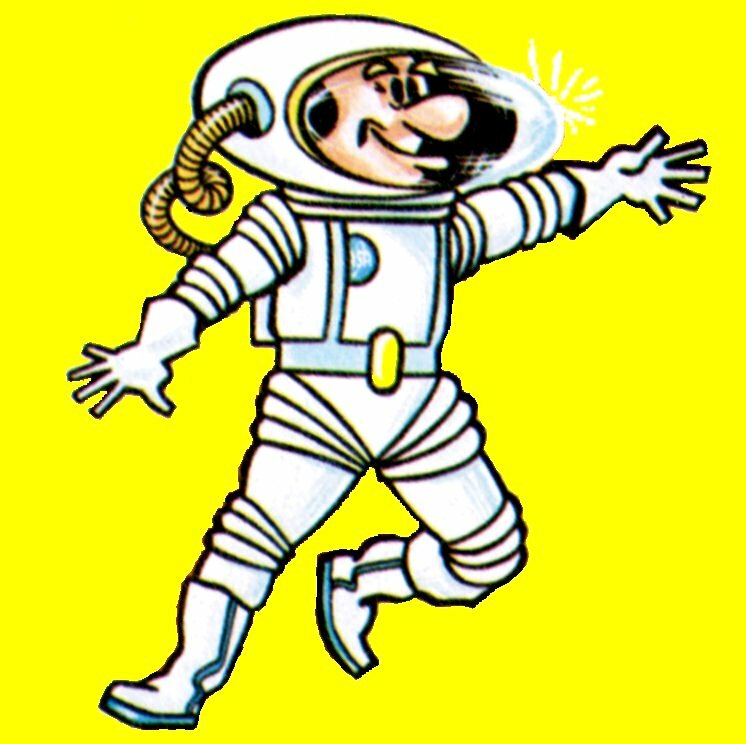 from the late 1950s through the mid-1960s. 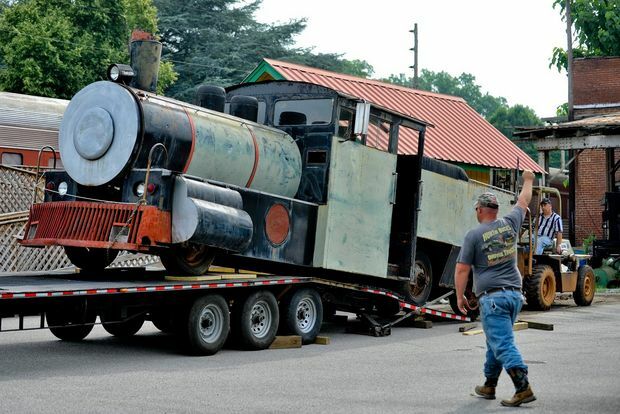 restore, plan to refurbish the locomotive and at the very least display it so residents can recall happy memories. 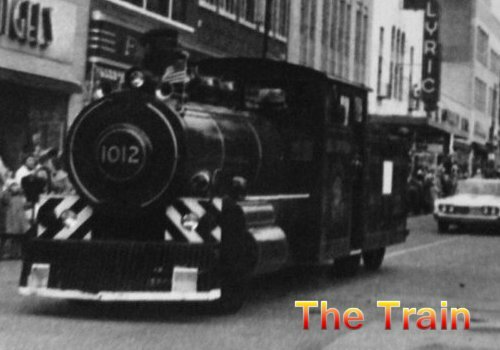 However, getting the engine running will take time and resources. 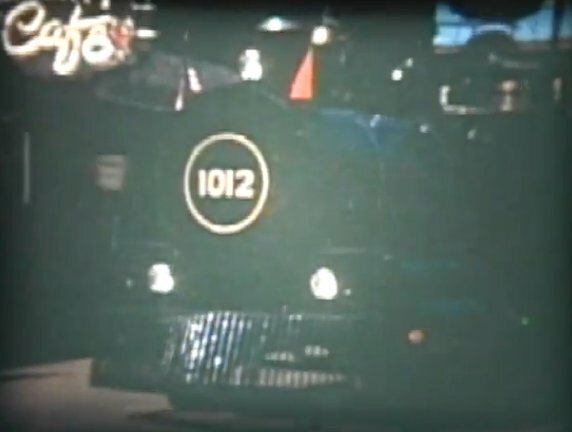 In the meantime, the Georges are seeking photos and recollections of the train. 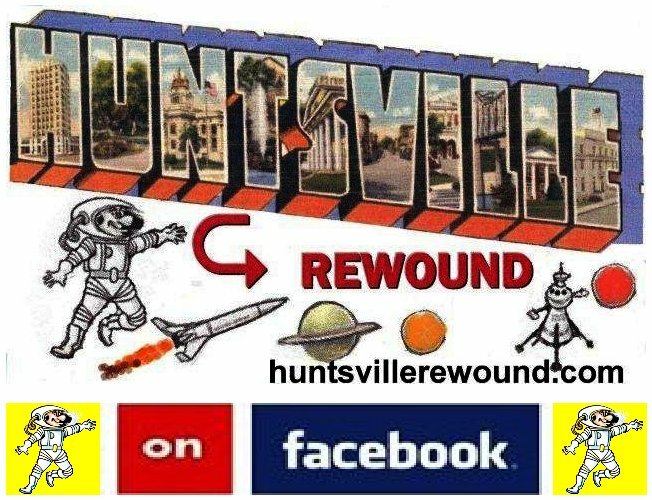 Anyone who has something to share can email Lance at lance@huntsvillerewound.com. 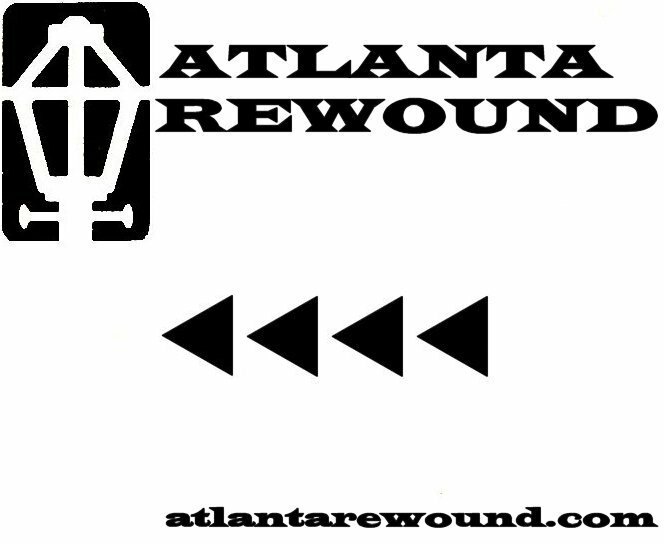 also check out the facebook site!!!! 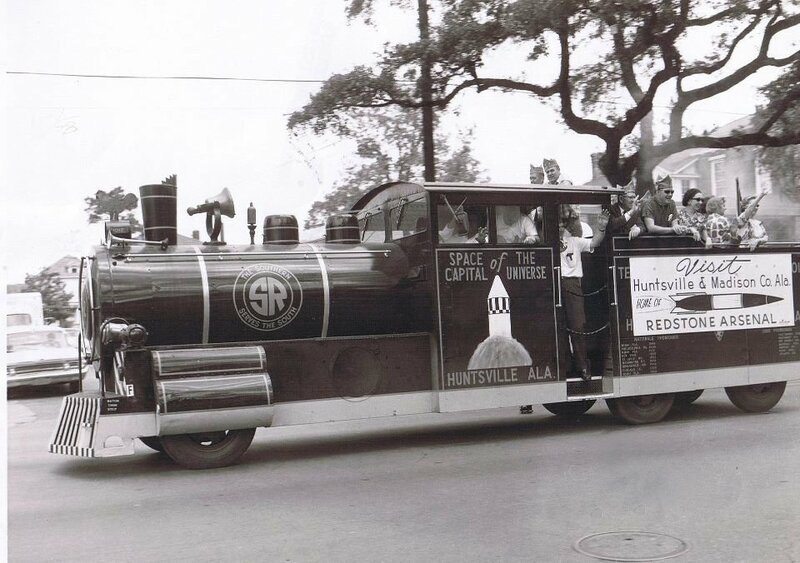 still used in Christmas parades etc.